Dr. Bentley will be facilitating courses in Introduction to Psychology. Dr. Bentley earned a PhD from the University of Delaware in 1999 and he has taught both undergraduate and graduate courses in psychology. He has also taught on-ground, blended, and fully online courses during his career. Dr. Bentley's interest in online education includes experience leading online learning initiatives in the roles of director and dean for 2- and 4-year colleges and universities. Dr. Bentley currently serves as a consultant helping institutions develop strategic plans for their respective online learning programs. Dr. Bentley will use different methods to help you learn about the field of psychology. Dr. Bentley enjoys interacting with students using discussion boards and web conferencing tools such as Google Hangouts. He will be available to you to address your questions each week by providing concise clarification on topics that are the most challenging to you. 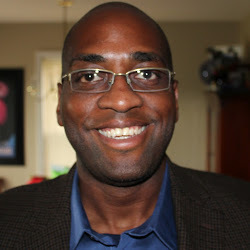 Dr. Kelvin Bentley is a native Michigander who earned a Bachelor of Arts in Psychology from Wayne State University and his masters and doctoral degrees in clinical psychology from the University of Delaware. He has experience teaching online on-ground, blended, and online courses in psychology including Introduction to Psychology, Abnormal Psychology, Developmental Psychology, and Tests and Measures. Dr. Bentley also has a special interest in online education given he has served as a director and dean for different online degree programs at 2- and 4-year institutions over the past 10 years. Dr. Bentley has led initiatives to improve access to student services for online students including tutoring, academic advising, career counseling, and proctoring services He currently serves as a consultant for schools who seek to develop strategic plans for their online learning programs. Dr. Bentley resides in Easton, Pennsylvania with his wife and 2½ year old daughter. Dr. Bentley enjoys traveling with his family in his free time as well as running, science fiction television shows and movies especially Doctor Who, and learning more about the present and future of online education.